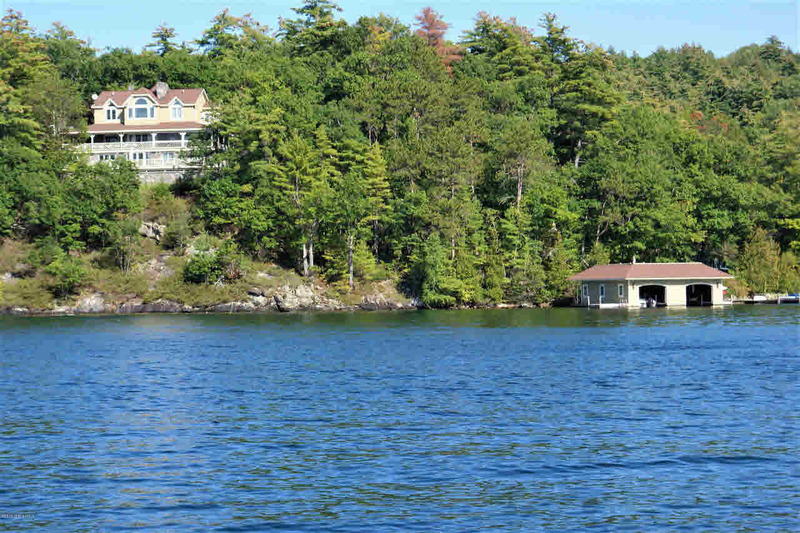 Included in this property is the completely custom, finished to perfection 5BR, 4 1/2BA year round home, a matching carriage house with a 2-bay garage including a 2BR/2BA apartment above, and an oversized boathouse with 2 enclosed slips and a spacious deck above. 2.5 acres & 320ft of shoreline. Massive ADK stone FP on covered porch. 2-story ADK stone FP in LR and two Australian tiled FP's in house. Creston Complete Home Automation system included. Extensive renovation done in 2006. Recently constructed stone retention wall and decking on the lakeside of the finished lower level. Easy year-round access. Amazing views of main lake and surrounding mountains. Extremely private and meticulously maintained.